T he Department of African Studies and Anthropology at the University of Birmingham invites proposals for papers at its annual Cadbury conference, to be held on 1 and 2 June 2017. The conference will be organised around the theme of Marriage in Africa. It is convened in honour of Lynne Brydon and marks her contribution to the establishment of gender studies in Africa. Marriage is a topic of enduring interest in African Studies. Initially approached through the prism of kinship, marriage soon asserted its presence in pioneering studies of labour relations, religious conversion and legal pluralism. Confounding the definition and separation of public and private, and appearing in varied and complex forms, marriage has posed an exciting challenge to scholars across the fields of anthropology, law, history, political science, and development and gender studies. Scholarly interest continues to be paralleled by lively popular debate in established and emerging media. The Cadbury conference will consider some of the following questions, which have emerged from recent research on marriage in Africa. 1. Citizens, the state and the law: Is it useful to contemplate the codification and/or reform of marriage and family law as a ‘state-making project’, through which governments have sought to define the gender-based rights and duties of citizens? If so, does legal pluralism in African contexts (customary, Islamic, civil and international law) present avenues through which individuals can evade or subvert the authority of the state by upholding alternative frameworks? 2. Gender, generation and temporality: How have varied and complex experiences of entrance into marriage, negotiation within marriage, and the ‘un-making’ of marriage challenged scholarly and popular divisions of the life course into idealised stages? Is it useful to contemplate marriage and divorce as ‘vital conjunctures’ and/or forms of ‘future-making’? 3. 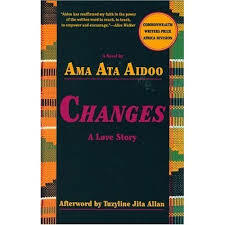 Emotion, morality and popular culture: Why have marriage, adultery and estrangement proved such central and enduring themes in African popular culture? Do popular cultural forms generate a reservoir of references for individuals to invoke when evaluating, comparing and negotiating their own relationships? How have the emotional ideals and routines of marital life changed over time? Do new forms of expression and consumption offer women and men opportunities to assert their desires? Location: The conference will be held on the main campus at the University of Birmingham n Edgbaston, West Midlands, United Kingdom. The campus is easily accessible by road and rail, and is only 17 miles from the nearest international airport. Finance: There is no conference fee. Lunches, refreshments, a wine reception and one conference dinner will be provided. Participants will need to meet the costs of their own travel and accommodation. Schedule: The core dates for the conference are 1 and 2 June 2017. However, if the number of accepted papers exceeds the number of panel slots available on these dates, we may begin the conference slightly earlier, on the afternoon of 31 May. Pre-circulation of papers: Participants will be asked to pre-circulate 3,000-5,000 word versions of their papers by 15 May 2017. 1. Your institutional affiliation and status. 2. Your paper abstract of up to 500 words. 3. An indication as to whether you are happy for the conference convenor to place your paper in a panel, or whether you are already in touch with other potential speakers with whom you would like to form a panel. 4. Any specific requirements regarding diet, accessibility, or the timing of your paper. Information about the Department of African Studies and Anthropology can be found here. Information about Lynne Brydon can be found here. Tags: Cadbury Conference, DASA, marriage, University of Birmingham.